Cleopatra II (Greek: Κλεοπάτρα; c. 185 BC – 116/115 BC) was a queen of Ptolemaic Egypt who ruled from 175 to 116 BC with two successive brother-husbands and her daughter—often in rivalry with her brother Ptolemy VIII. She co-ruled during her first reign, until 164 BC, with Ptolemy VI Philometor, her first husband and the older of her brothers, and Ptolemy VIII Euergetes II, her younger brother. During her second reign she co-ruled again with Ptolemy VI from 163 BC until his death in 145 BC. She then ruled with Ptolemy VIII, whom she married, and her daughter Cleopatra III. She was sole ruler of Egypt from 131 BC to 127 BC. Her final reign from 124 BC to 116 BC was also spent in coregency with Ptolemy VIII and Cleopatra III. Cleopatra II was the daughter of Ptolemy V and likely Cleopatra I. If she was the daughter of Cleopatra I, she was a full sister of Ptolemy VI Philometor and Ptolemy VIII Euergetes II Tryphon; otherwise she was their half-sister. She would eventually marry both of her brothers. Following the death of her presumed mother, Cleopatra I, in 176 BC, Cleopatra II was married to her brother Ptolemy VI Philometor in c. 175 BC. Cleopatra II, Ptolemy VI and their brother, Ptolemy VIII, were co-rulers of Egypt from c. 170 BC to 164 BC. In c. 169 BC, Antiochus IV of Syria invaded Egypt. Ptolemy VI Philometor joined Antiochus IV outside Alexandria. Ptolemy VI was crowned in Memphis and ruled with Cleopatra II. In 164 BC Cleopatra II and her husband were temporarily deposed by Ptolemy VIII, but were restored to power in 163 BC. Ptolemy VI died in 145 BC. 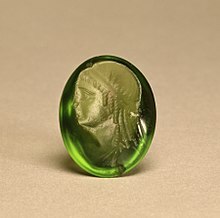 Cleopatra II agreed to marry her brother, Ptolemy VIII Euergetes II. Ptolemy VIII murdered Ptolemy VII Neos Philopator, the son of Ptolemy VI and Cleopatra II, and took the throne himself. Between 142 BC and 139 BC Ptolemy VIII married Cleopatra's younger daughter, his niece Cleopatra III. Cleopatra II led a rebellion against Ptolemy VIII in 131 BC, and drove him and Cleopatra III out of Egypt. At this time Ptolemy VIII is said to have had Ptolemy Memphites, his son by Cleopatra II, dismembered and his head, hands and feet sent to Cleopatra II in Alexandria as a birthday present. Cleopatra II ruled Egypt as sole ruler until 127 BC. She was forced to flee to Syria, where she joined her daughter Cleopatra Thea and her son-in-law Demetrius II Nicator. A public reconciliation of Cleopatra II and Ptolemy VIII was declared in 124 BC. After this she ruled jointly with her brother and daughter until June 116 BC when Ptolemy died. Ptolemy VIII left the kingdom to be ruled by Cleopatra III and one of their sons. At the wishes of the Alexandrians, Cleopatra III chose Ptolemy Lathyros, her elder son, as her co-ruler. Cleopatra II disappeared from historical records sometime around October 116 BC. She is believed to have died in about 116 or 115 BC. Ptolemy Eupator, born in 166 BC. Became co-regent with his father for a short time, but died at a young age in c. 152 BC. Cleopatra Thea, born in c. 164 BC. She married Alexander Balas, Demetrius II Nicator and Antiochus VII Sidetes. Murdered by her son in c. 120 BC. Perhaps Berenice, born between 163 and 160 BC. Died young in c. 150 BC. Cleopatra III, born between 160 and 155 BC. Married to her uncle Ptolemy VIII. Ptolemy VII Neos Philopator, born c. 152 BC. Murdered in 145 BC by Ptolemy VIII. Ptolemy VIII and Cleopatra II are thought to have had at least one son, Ptolemy Memphites, born between 144 and 142 BC. 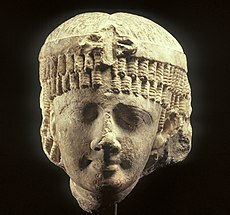 Ptolemy Memphites may be identical to Ptolemy VII Neos Philopator, but this identification is not universally accepted.